From the outset it is important to appreciate that I have endeavored to avoid any pro-GWR bias on this site but I have to admit that Hockley housed an impressive set of facilities. 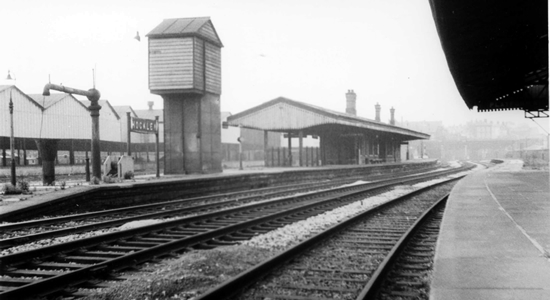 The passenger station was opened in 1854 on the Snow Hill to Wolverhampton Low Level line and is seen above (photo: Frank Jennings) with the photographer looking in the direction of Wolverhampton. The passenger station was a fairly modest affair (at least by GWR standards) comprising two bay and one island platform with the usual GWR hallmark platform buildings with their distinctive canopies and valancing. 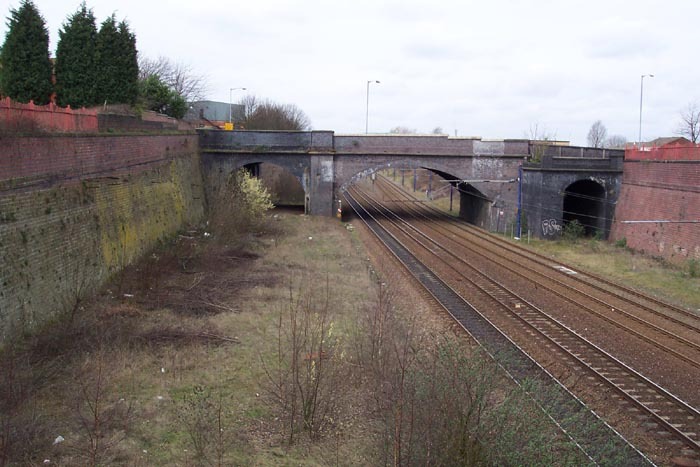 The station was accessed via an entrance below track level off Icknield Street. Unfortunately, Icknield Street has undergone major redevelopment over the past few years and the station site had been completely cleared in the late 1990s in anticipation of the Midland Metro opening thus little remains, if anything, of the passenger station. The goods facilities at Hockley closed in 1971 but, as will be seen, a lot more of these remain to this day. 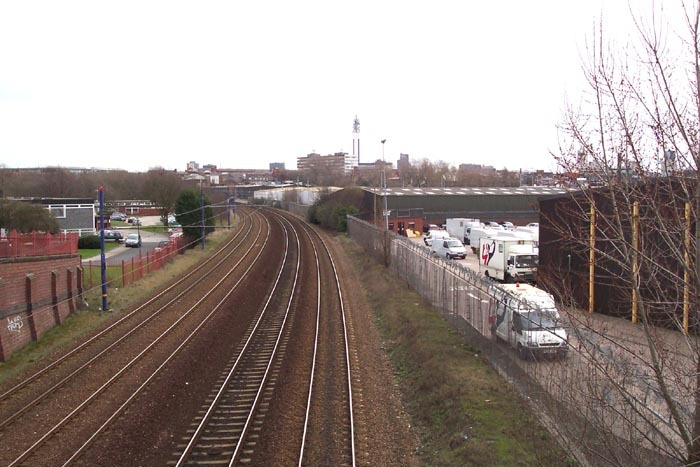 The photograph above-left was taken from All Saints Street looking back towards Snow Hill: the platforms started just as the lines curve around to the left in the distance. The area to the right, to the left and behind the photographer were all occupied by the extensive goods facilities and sidings at the site. Above-right we are looking across the tracks at a point roughly from the point Frank Jennings took his photograph at the top of this page: as can be seen, nothing remains today. Above-left we can see a more interesting remnant of the old station site. 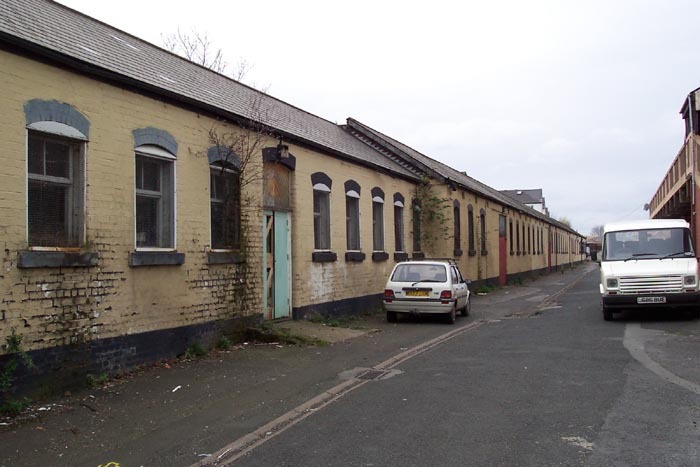 This is the remains of a warehouse on the corner of Icknield Street and Pitsford Street - the corner of which opened onto the entrance to the passenger station. 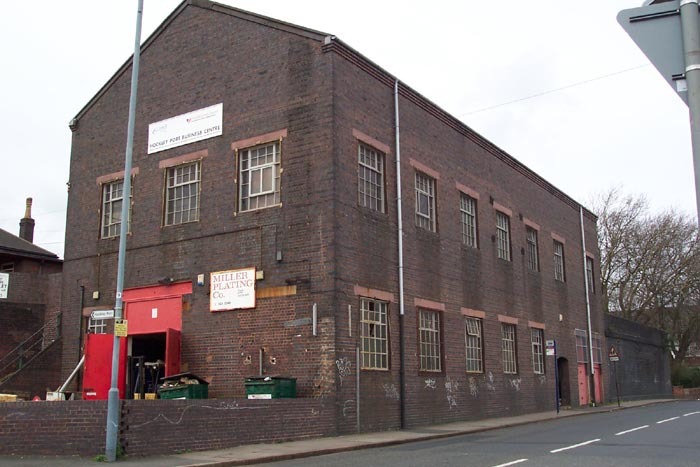 Above this warehouse were the goods sidings and further warehousing facilities, now above this spot is an industrial estate called Hockley Goods Depot which consists of non-rail connected units and a BT depot, amongst others. 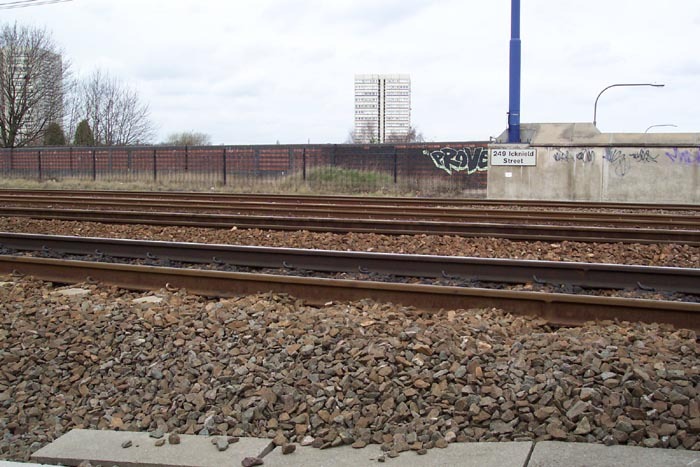 Above-right we are at the back of the aforementioned industrial units looking at the point where the lines crossed Icknield Street and where the platforms once began with a water tower to the left and the Snow Hill-bound platform in the recess opposite - again, not a trace remains. Above-left we are looking again from All Saints Street bridge but this time away from the station as the lines head-off towards Wolverhampton. 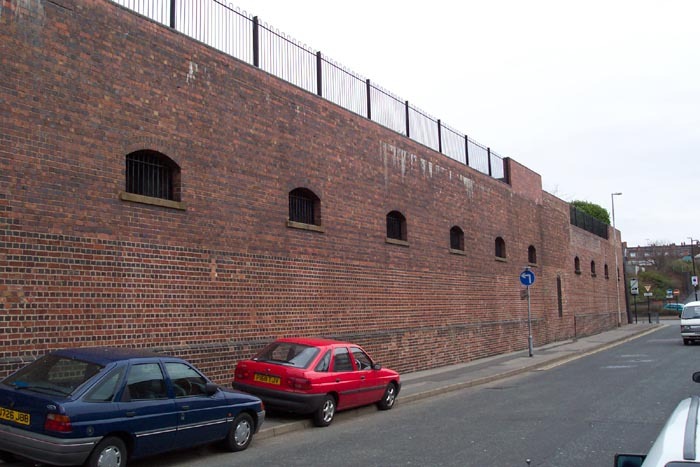 The width of the cutting and redundant arches in the Lodge Road bridge give some indication of the amount of lines once converging on Hockley. 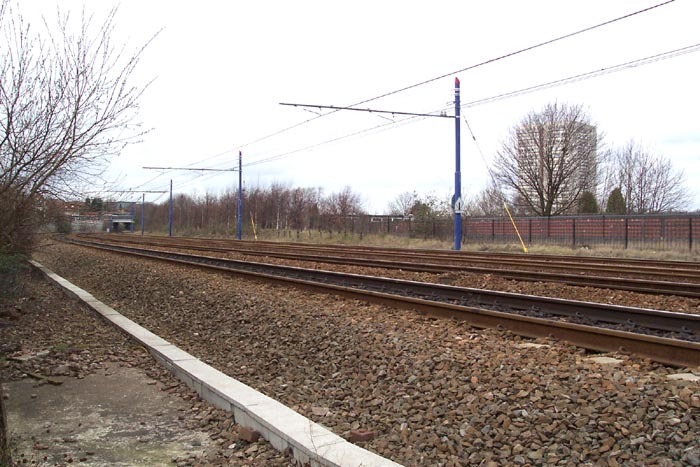 One such removed line was goods-only and led to the goods sidings that once stood at Soho & Winson Green. 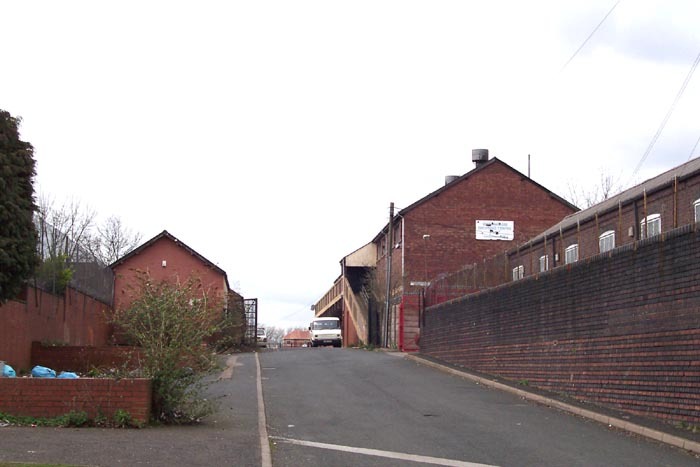 Above-right is one of the many remains of the warehousing facilities still in existence at the Hockley goods site but now used for other purposes. 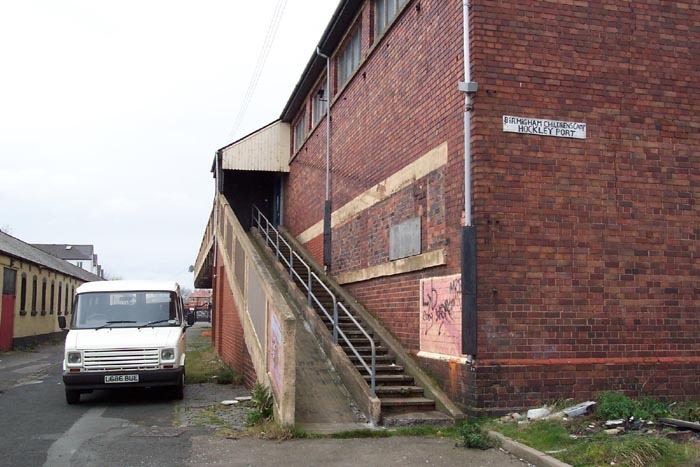 This is on the corner of Pitsford Street and All Saints Street and is an impressive structure which backed onto railway sidings running to its rear (now removed). The photograph above-left is taken from roughly the same spot as the last one on the previous page but turning ninety degrees to our left. The 'driveway' shown leads past a number of ex-goods facilities and up to a warehouse complex which stood at the edge of a series of goods sidings long-since removed. Above-right we get a closer look at the building which appears along the driveway on the right-hand side. Unfortunately, I do not have facts and figures as to the precise operation of all the buildings left remaining other than that they were all part of the vast goods site in some capacity and, I have to say, that it is great to be able to explore them today even though their rail connections have long-since been lifted and cuttings filled. Above we see two shots of the warehouse that sits at the top of the driveway with its large barrel chute its most prominent feature. This can be more clearly discerned on the right-hand photograph. The railway lines ran the other side of this building as can be seen below. 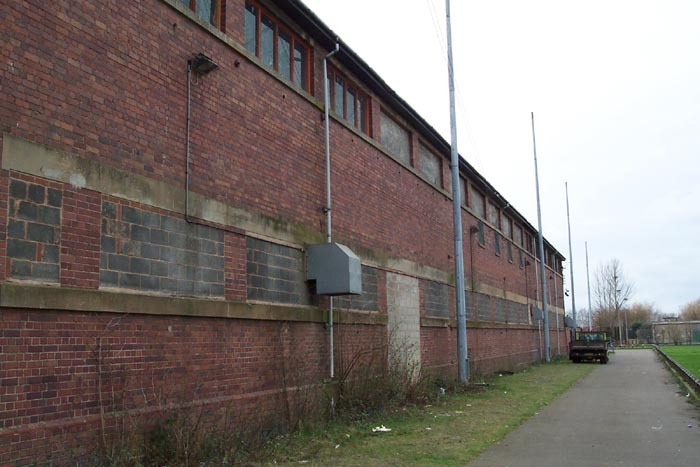 Above-left is what was the rail-side of the warehouse with the sidings being immediately to the right of the photograph. 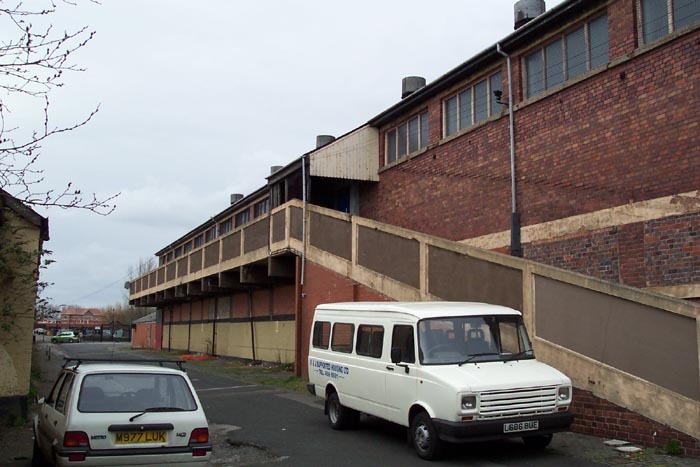 Above-right is a closer look at the building which site opposite the other side of the warehouse. Above we see the land once occupied by the rail sidings which were fed by spurs from the main lines and approached the site from the right-hand side: the warehouse is just off camera to the left. 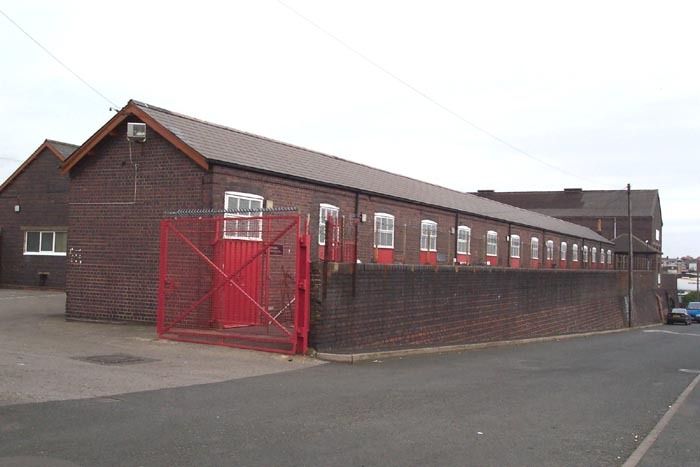 As can be discerned, the area is now a playing field and the warehouse complex is home to some sort of youth centre: Hockley Children's Camp. It is a very interesting site to wander around even if the actual railway element is minimal as you can imagine a bustling scene with wagons being loaded and cart loads of goods being loaded from the warehouses with a little imagination. This site is well-worth a visit but I'd definitely recommend taking as many old photographs as possible with you - it is a huge site and it is useful to have as many reference points as possible with the past otherwise it is easy to become overwhelmed.